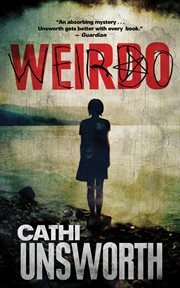 Named one of the Best Crime Books of the Year by the Guardian, Weirdo is an atmospheric thriller about a teenage girl convicted of murder in a 1980s seaside town and the private investigator who reopens the case to discover that she may not have acted alone . . . Corinne Woodrow was fifteen when she was convicted of the ritualistic murder of her classmate in a quaint seaside town. It was 1984, a year when teenagers ran wild, dressed in black, stayed out all night, and listened to music that terrified their parents. Rumors of Satanism surrounded Corinne and she was locked up indefinitely, a chilling reminder to the parents of Ernemouth to keep a watchful eye on their children. Twenty years later, private investigator Sean Ward whose promising career as a detective with the Metropolitan Police was cut short by a teenager with a gun reopens the case after new forensic evidence suggests that Corinne didn't act alone. His investigation uncovers a town full of secrets, and a community that has always looked after its own. Publisher: [United States] : Spiderline, 2013. Weirdo is about a British cold case investigator in 2003 looking into a witchcraft-connected murder from the 1980s. The story jumps between the two timelines so we see these teenagers' lives in a tourist town get disrupted in the buildup to the big crime while we watch the modern investigators try to unravel what actually happened. It's not too bad. I came across Cathi Unsworth as an author in a list of "women writing noir" which I was very interested in, since noir fiction is so male-dominated. Weirdo, however doesn't feel like a noir book. It's a fine mystery, but didn't have the je ne sais quoi I was hoping for. Maybe it was just the witchcraft angle (which is handled well) that put it more in the realm of Carrie or the X-Files for me. An enjoyable and quick read and I had trouble putting it down. A second look into a murder 20 plus years in the past is paralled with the telling of the actual events. Well formed characters and and a sense of the macabre keep the story moving very fast. Teenagers — Crimes Against — Fiction.